Okay… Maybe not quite 1,000 – more like somewhere around 142 1/2. Yes. And a half. We’ll get to that later. 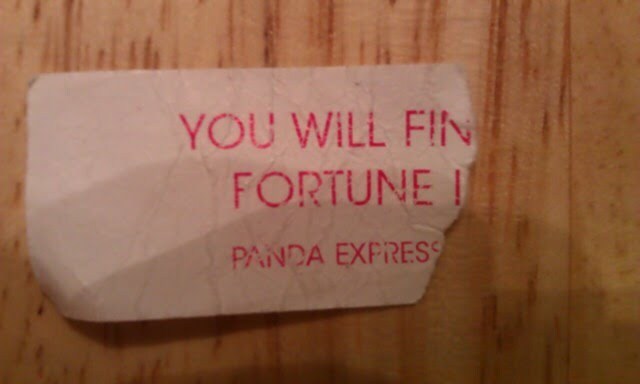 But first – My fortune hoarding had gotten so bad Nurse Sonshine and the little Troupe decided to put them together in a book until I could make time to post them. They got half way and tuckered out. 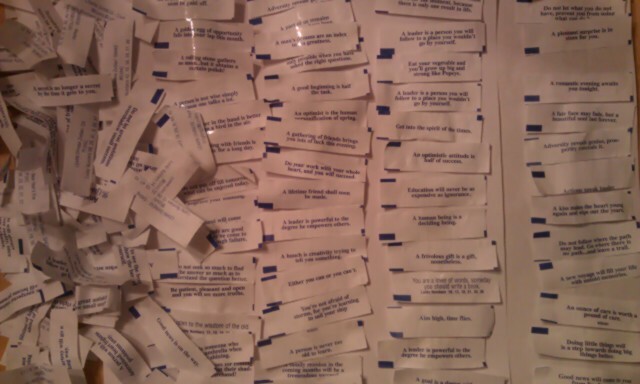 Here’s the pile of fortunes I’ve been hanging on to for MONTHS!!! Now that is from a LOT of cookies! Is anyone still reading this? What’s up with all the romance and kissing stuff!?!?!?!? I’m not complaining, but MY GOODNESS! Finally at 100 – almost there.